Poor cyber security is like playing Russian roulette with your business. Stolen data, customer privacy invaded, reputational damage – all outcomes from suffering a major cyber-attack. 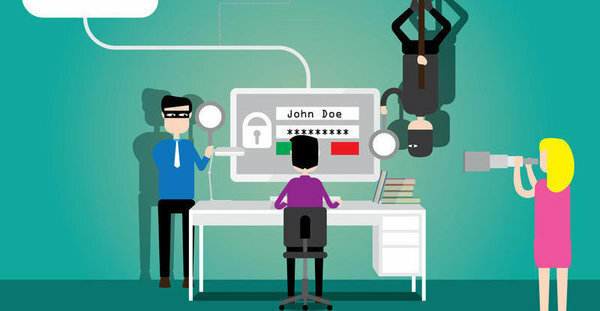 Information security breaches are one of the biggest threats facing organizations today. But creating a culture of security that protects employees, customers and the organization is a challenge in itself. Better cyber security starts with effective employee engagement. But making security awareness front of mind requires fresh thinking. The spotlight is on internal communications to ensure staff are aware of security risks – and how to avoid them. To be effective, Information Security managers need communication tools to raise staff awareness of why security matters, engage them on how to avoid the risks, and instill positive behaviors in them. SnapComms high-impact channels ensure unmissable security messages reach all employees. Email is bypassed entirely, meaning messages cut-through and links can be clicked with confidence. 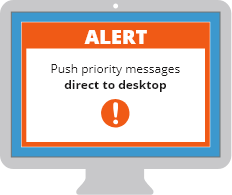 Desktop alerts are designed for fast, effective notifying of staff around security breaches or warnings, ensuring immediate action is taken to nullify or minimize the threat. Multi-device formats reach staff on any desktop or mobile device. Desktop tickers update employees fast during situations such as phishing attacks, providing essential status updates to inform or drive action. Links to online resources can point to additional information, increasing usage of channels like the corporate intranet. Screensavers are a powerful visual communication tool for reinforcing security behaviors, conveying helpful tips and promoting training sessions – repeated throughout the day for maximum visibility. The RSVP tool sends pop-up invites to employees for capturing preferences around events, workshops and training sessions. Simple setup supports maximum staff participation and easy administration. Employee surveys capture insights and suggestions from staff ‘on the ground’ through appealing visual formats and pop-up reminders to ensure high response rates. A staff quiz supports security training by subtly reinforcing learnings and providing Information Security staff with valuable insights on those areas where follow-up sessions are required. Use eye-catching screensavers to make staff aware of the issue. Survey staff on their understanding to identify knowledge gaps, then collate their questions into a helpful FAQ newsletter. Maximize attendance at staff education sessions through pop-up RSVP invites. Quiz employees afterwards to reinforce security policies and best practice. Continue communication post-training with ticker reminders of processes to follow and engaging screensavers reinforcing key messages. Time is of the essence when a cyber security breach occurs. Notify staff immediately with desktop alerts and update them on status as the situation evolves via tickers. A comprehensive range of extra features built in to the SnapComms platform ensure every employee reads your cyber security messages – and acts upon them. Set up different employee groups to deliver security awareness communications differently by role, location, security clearance level and more. 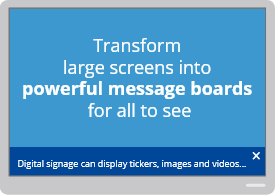 Targeting in this way ensures maximum message relevance and minimal annoying wastage. Scheduling allows your security messages to be set to appear at specific times, global or local, as well as in local languages. Recurrence settings guarantee important messages are actually read by staff. Any unread messages can be set to repeat on employees’ screens until they are read. Acknowledgement of message receipt and understanding provides valuable assurance of each employees’ compliance with security policies. In the case of a crisis, messages can be delivered full screen and can override screensavers or locked screen displays. Fast, frequent, unmissable updates during emergency situations can help control and mitigate negative responses. Permission levels can be set up to allow designated staff to publish security communications. This is especially useful for global organizations who want consistency of message but with a local execution. 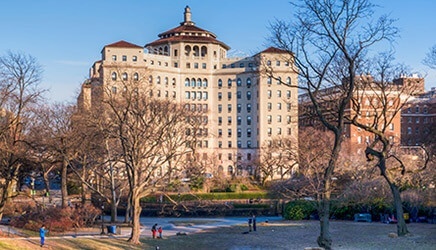 With the rising prevalence of cyber attacks targeting healthcare organizations, ArchCare needed fresh thinking to engage better with every employee. Are You Making These Cyber Security Mistakes? Cyber attacks strike every 39 seconds. If your organization is making any of these cyber security mistakes, you could be at high risk too. 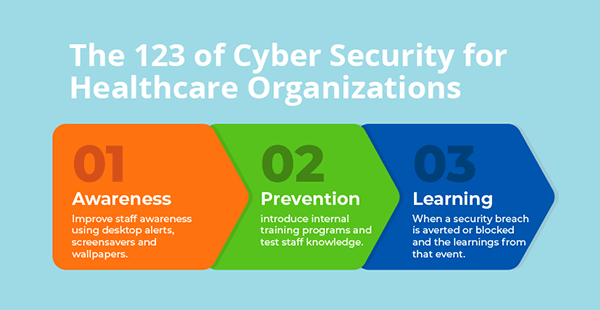 Hospitals and other healthcare organizations are increasingly the targets of cyber security attacks, affecting millions of patients. Petya - Can This Recurring Nightmare Of Security Attacks Be Prevented? What can employers do to avoid the recurring nightmare of cyber attacks like Petya?